Economic news (data analysis, public finances, economic research, forecasts, etc.) 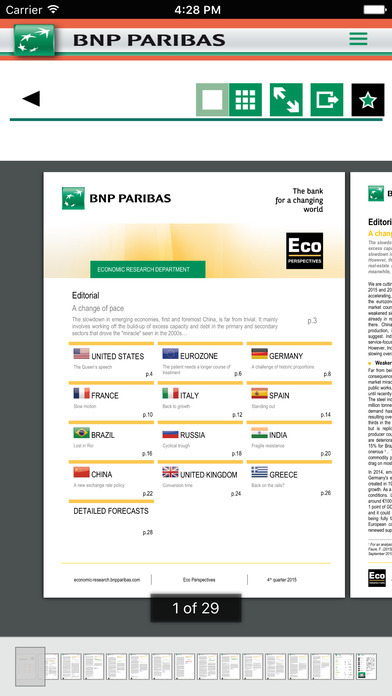 can be found in EcoNews, the application of BNP Paribas' Economic Research department. Since 3 May, EcoNews has been available on the Apple Store. This application allows users to read publications, watch videos, create alerts, make searches, manage favourites, as well as share files on Facebookand Twitter, etc. 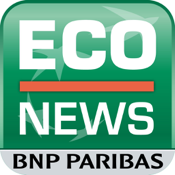 The app is free of charge, user-friendly, requires no password, and is available in French and English.